I hope you work in a school with an administration that put something together for all the teachers or gave you something nice! 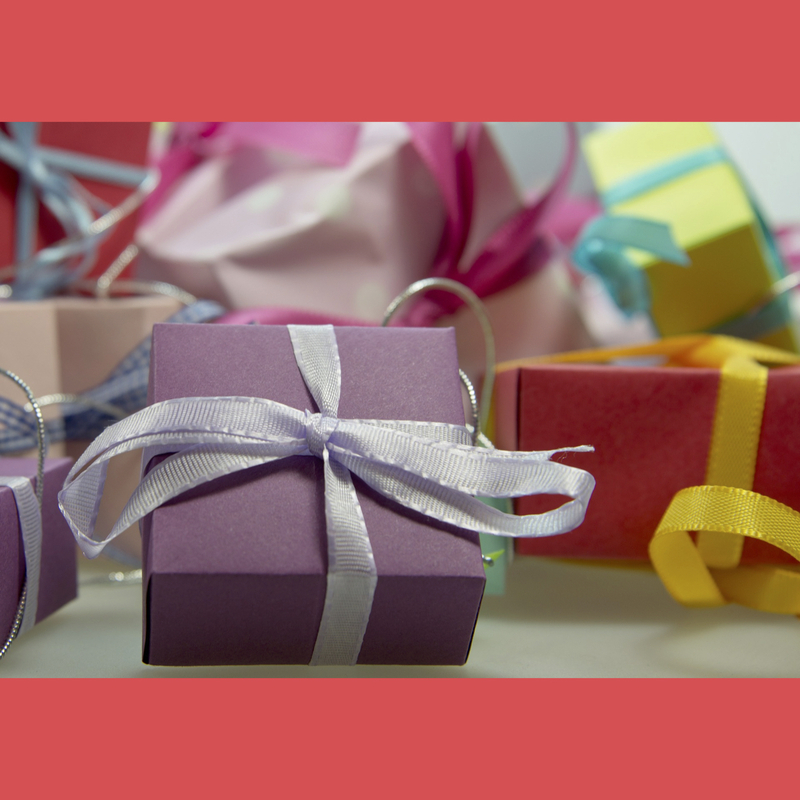 In case you're feeling like it's Teacher Under-Appreciation Day, here are some ideas to teacher appreciate yourself! This one is obvious, right? Moscato is my favorite, but go with a large glass of whatever you most enjoy. And then sit back, relax, and enjoy your wine (at home - drinking during your planning period is generally frowned upon). Because it's Teacher Appreciation Day! 3. Eat cookies or cupcakes from somewhere special. I would like to state for the record that I have not been to all of the above-linked chocolate places and bakeries. Just most of them. For research purposes. Go to the gym, go for a run, play a game of pick-up soccer... whatever gets your blood pumping. You'll need it after all those chocolates and cookies you ate. Maybe check out Groupon and see if you can get a good deal on something new in your area you've never tried before?! Pilates maybe, or kickboxing? Or pole dancing? Eat chocolate and drink wine in the bath. Maybe stop by Lush beforehand and get a bath bomb or just some good old fashioned bubbles for your bath! Relax and remember that you're the best Spanish teacher your students have! And if you teach Spanish 1, then you're the best Spanish teacher they've EVER had! 6. Leave work on time. Leave as soon as the kids leave. Those papers you "have to grade" will still be there tomorrow. Unless you "accidentally" throw them out. I can't be the only one that has ever "lost" students' papers, right? 7. Plan something fun for summer vacation. You should relax this summer and enjoy yourself! Do you have any travel plans? Or stay-cation plans? Teacher Appreciation Day is aptly timed for the end of the year when teachers are the most drained. Think about those fun activities you have coming up in a few months and remember, summer is coming! You can do this! 8. Make plans with friends. #TeacherLife can be so draining. Make plans with friends SOON. Like this weekend. Or after work next week. Because you need more wine + socialization soon. 9. Binge a couple episodes of your favorite TV show. You do have to go to work tomorrow, so maybe don't stay up until 3am watching Ingobernable, but who said you can't watch a couple episodes in a row? If you're looking for good Spanish shows, then check out Allison's post on binge-worthy Netflix shows for Spanish teachers! You need those new shoes you've been eyeing. Definitely. Or that new purse. Or that sassy sign on Etsy that says "I'm sorry for what I said when I was hungry". Okay, I know I need that sign - it will look fabulous in my kitchen. And you know what - it's Teacher Appreciation Day! Teacher appreciate yourself and get that new (insert item here that is obviously missing from your life). I hope these ideas have been fun and helpful in Teacher Appreciating yourself! If you're having trouble deciding which cookies to order, I must say that Schmackary's are my favorite, but you should just order some cookies from all of the places I suggested and report back your preferences to everyone - it's for research obviously. I look forward to all your feedback regarding cookies. 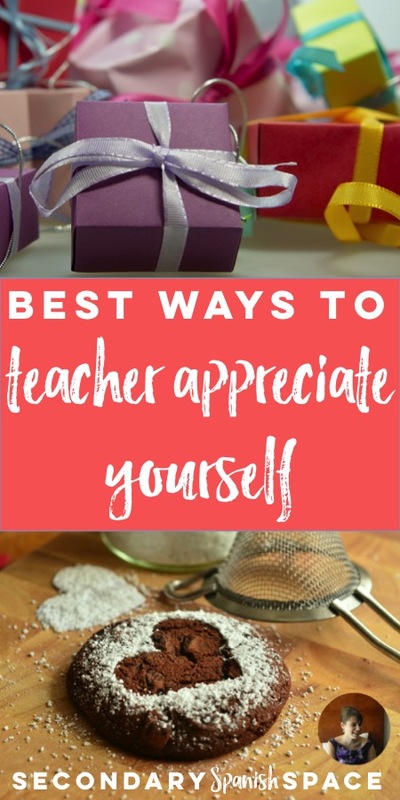 Feel free to share other fun ways you like to Teacher Appreciate yourself! Happy Teacher Appreciation Day! Best suggestion: leave work on time. It's so easy to prioritize our jobs over our lives, relationships, and even our health. Cheers to you, Miss Senorita - I will leave on time today in honor of your post! Ordering MilkBar treats as we speak. Will follow this up with suggestion #4 to ensure I don't gain 10 pounds in one sitting. I read this right after school yesterday. I went to the gym soon after the kids left, went home, drank wine, and ate chocolate while watching Sharktank. I think I totally knocked out at least 4 of the things you mentioned. Thanks for the much-needed pep talk on a teacher appreciation week when I wasn't at all feeling appreciated!